Just when we thought cable was out, they pushed themselves back in. With the streaming content apps from Comcast, Time Warner, and others, cable providers are successfully ensuring their relevance in a changing market. 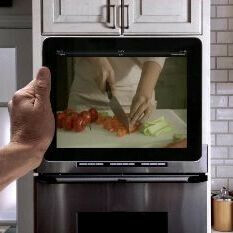 Time Warner's earnings call revealed that their iPad app has been downloaded 360,000 times during its first month. And remarkably, they've suffered fewer customer losses than in previous quarters. So is the iPad app the reason? Probably not. But customers might have been less likely to leave if they thought they were in on the ground floor of a major upgrade to their cable service. Cablevision's iPad app scored an incredible 500,000 downloads in only 5 days, and Comcast's Xfinity TV app has been downloaded 1.5 million times since its launch 5 months ago. Getting cable TV on your iPad is obviously great for consumers. But for the cable industry, it means that they will live to fight another day against mobile streaming services like Netflix, Hulu Plus, and more. And that's no small feat, considering the vastly more nimble business models of Netflix et al. So what happened with the Cease-And-Desist order on the TWC app? Good point. I kinda like that. "Take all that off. We don't give our stuff away for free! Wait...its working? Ahh, good idea. Glad I came up with it." This is another reason why I do not like cable companies, they have made Ipad apps but no android apps. Good bye comcast! I wish Dish Network would make their app streaming from servers instead of streaming from your receiver. I don't want to have to buy the Sling Adapter and WiFi Connector for $130 for my ViP 722 DVR just so I can stream my TV. This is another reason why americans are so fat. @luis How dumb is your statement? Another reason why Americans are fat is because of a select few using fairly new apps on a mobile device? We all know for a fact that these individuals are not utilizing the apps on commute to work, during car rides, or in other situations where you are forced to do nothing but sit...and that the select few who can afford these devices and cable are a good representation of all Americans.